Stories tell us the last prominent family in our home, Gordon and Dolly Harman, resided in this room as their bedroom, becoming the perfect vantage point to hear their daughters trying to sneak in late at night. Guests will find the Harman Hideaway Room up the staircase off the back parlor in a special place toward the back of the house. 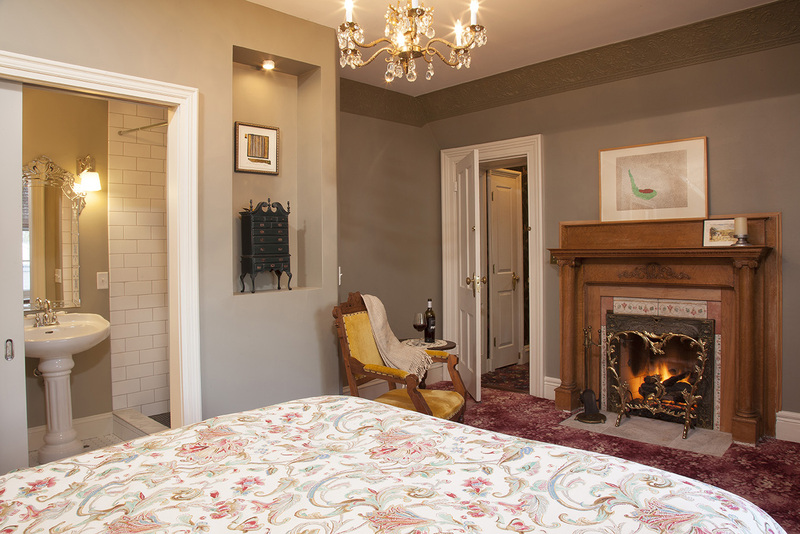 The room features a window looking out to Lake Mendota along with a queen-size bed, beautiful gas fireplace, and private bath featuring a delightful rainfall shower with separate hand-held wand.